Colonel Fairfax Kirkwood Dillon of Statesville, North Carolina was a participant in both world wars. In World War I, as a Second Lieutenant, he was an aviator and in World War II, Dillon was a Combat Intelligence officer in the Army Air Force. He participated in the original landing at Casablanca in North Africa (1942). Later, Colonel Dillon was involved in the U. S. landings in Sicily and Italy, and he personally received the surrender of the enemy on the Isle of Capri in Italy. Dillon was next sent to the Pacific theater and was on Okinawa at the time of the Japanese surrender;after which he was ordered to Korea as the Military Mayor of Seoul. Discharged in 1946, Colonel Dillon retired to Statesville where he died in 1957. Among the medals he received were the Purple Heart, the Bronze Star, an Air Medal, World War I and World War II Victory Medals, and numerous campaign awards. 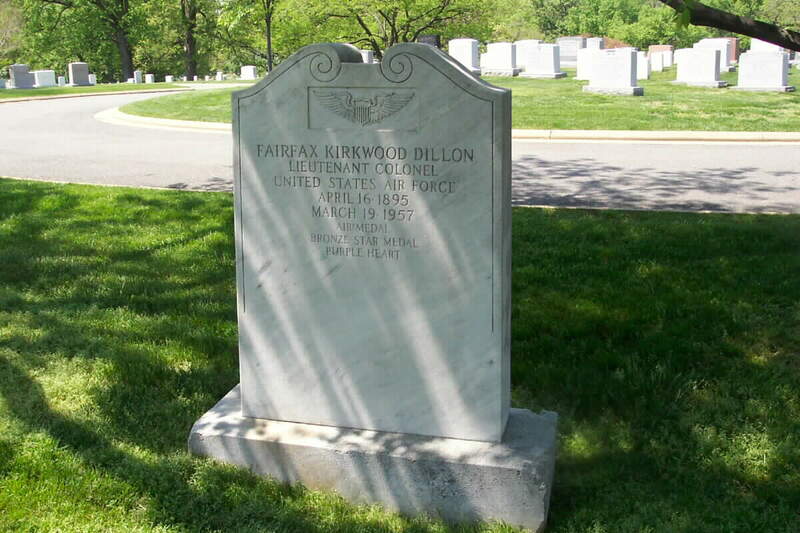 Colonel Dillon was buried with full military honors in Arlington National Cemetery. 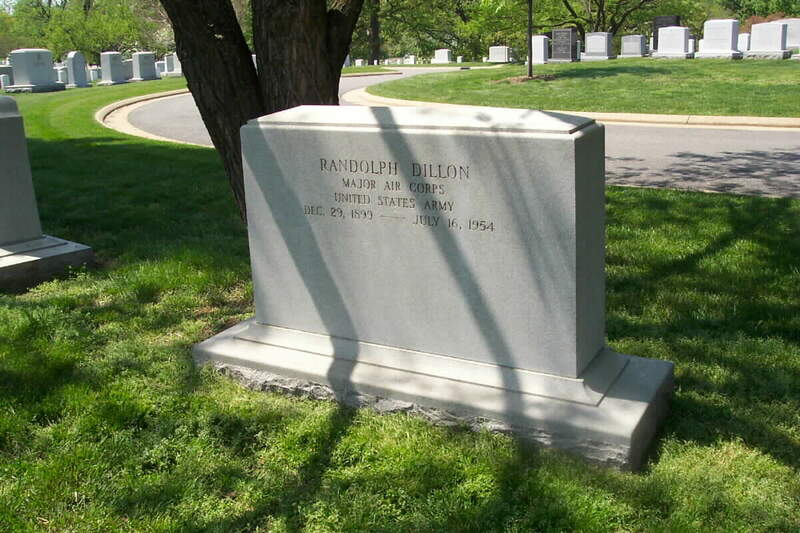 A relative (believed to be his brother), Randolph Dillon, Major, United States Army Air Corps (29 December 1899-16 July 1954) is buried next to him.